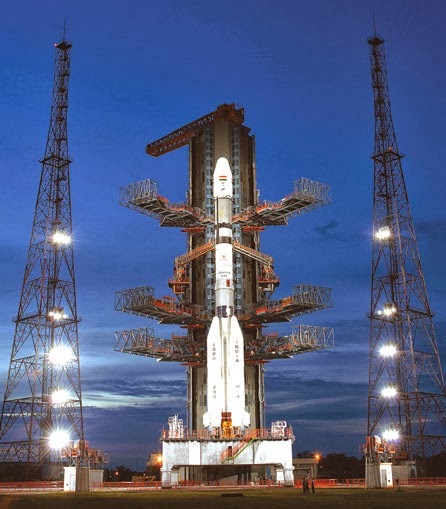 One of the topmost satellite technology powers in the world : The success of recent GSLV launch has catapulted India to the top of the world league of satellite launch powers. We can now launch heaviest of satellites from biggest of launchers, and commercialise it. This, despite all technology bans on India regarding cryogenic engines. ISRO scientists developed the cryo engine in-house, and it worked! Manned missions, here we come! One of the most powerful missile powers in the world : Our Agni V (still being improved) can hit targets, with multiple warheads, 7500 kms and beyond. Enough to scare the biggest bullies of them. And Agni V is but just one of the huge arsenal we possess. The fastest attack missile in the world : Our Brahmos (made in collaboration with old friend Russia) is the FASTEST missile in the world, with speeds approaching 3 Machs! And it is being upgraded by a factor of 2. One of the largest standing non-political militaries in the world : Indian military is one of the largest, non-political professional armies in the world, with a record of never interfering in domestic politics, or international affairs without an explicit request from political executives. One of the few to have a nuclear triad : It means we can attack (in reply) from land, air as well as sea, in case some fool decides to test our patience with a nuclear device. Only 2 or 3 nations in the world have this strength. Most well desinged nuclear energy programme : With facilities spread across the length and breadth of the nation, our nuclear research programme (NRP) is one of the most integrated, advanced and well-designed. Given the right political leadership, it can actually make us energy independent in another 25 years. Third biggest economy PPP wise : Not a mean achievement at all. We are the third biggest on purchasing power parity basis, only after US and China. Way to go. One of the strongest soft-powers in the world : The depth and richness of 5000 years of tradition and history cannot be wiped away by anyone. The philosophical thoughts of the Vedas, Upanishads, Vedantas, and Puranas remain the guiding light for any soul searching for peace and liberation. And all this while we remained chaotically democratic, diverse, different and argumentative, holding elections frequently, changing governments, shuffling bureaucrats, fighting corruption, and battling traitors! Yes we still remain a work-in-progress society. But we are getting there. Let's all be positive and contribute to Mother India's forward march, in our own small ways, instead of mocking, ridiculing and berating the system.